Our mind and body have an eternal connection and this relationship is taken to a beautiful culmination with meditation. During meditation, the mind creates a situation in which we see the body as peaceful and beautiful. By creating peaceful feelings within the body, the mind is absorbed in those feelings. So although the body is the object to be healed, it also becomes the means of healing the mind – which is the ultimate goal of meditation. Constant practice of meditation has a profound influence on the consciousness and the mind. On the spiritual level, it is the interface between the human body and the God. Meditation helps to create that oneness with the Almighty- a technique through which we know God and discover our wisdom and love, thus enlightening our lives and getting eternal liberation. Human mind is restless and loves constant change and movement. Meditation removes the restlessness, making the mind a better and more useful tool. One of the benefits of meditation is deep relaxation. 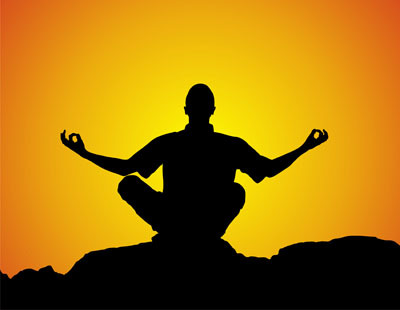 Meditation develops concentration, awakens inner peace and brings the mind under control. This point of relaxation creates the magic of knowing oneself and the beauty around. It opens the heart to the blessings God has bestowed on us and the goodness in others. This relaxation results in eternal liberation where all the physical happiness becomes immaterial and the human soul raises above all and gets in the state of divine pleasure. A state where others’ needs become priority and selfless sharing becomes a part of life. There are people who regard meditation as an unpractical, meaningless and useless pursuit. They consider those who seek inner peace and silence as dreamers, visionaries and unpractical people, who are out of touch with reality. This is an erroneous assumption. There have always been very practical, pragmatic and active persons, who also engaged intensively in inner, spiritual quest, some of whom you may find difficult to associate with meditation and spirituality. Practicality and spirituality can beautifully complement each other. Success in meditation requires strong motivation, earnestness, and persistence, but the rewards are great and valuable. After the mind becomes habitually calm and quiet as a result of a regular practice, one might discover that there is no need for special meditation sessions anymore, because inner peace and silence will be experienced at other times of the day. When the mind is at peace, there arises a kind of calm, joyous and powerful consciousness, which is different from the ordinary, everyday consciousness. It is vast and endless, full of calmness, rest, happiness, invincibility, and power. It is a sort of an altered state of consciousness, which is not a state of trance or lack of awareness of the earthly plane. It is an awareness that encompasses both the earthly and spiritual planes. Though meditation only relaxes and calms the mind, but with this transformation the soul and the body complies with the harmonious laws of nature, which is the true reflection of God. As one brings this inner energy and resource into the waking state of life – You live God.